Discovering Bigfoot (2017) – What's New on Netflix Canada Today! Reality Entertainment and The Sylvanic Cooperation presents “Discovering Bigfoot.” Discovering Bigfoot is the first feature film documentary with real live interaction between a Bigfoot creature, wilderness experts, PhD’s and other world renowned experts and researchers of the Bigfoot enigma. Journey into the heart of Sasquatch Country with Todd Standing who appeared with Survivorman’s Les Stroud in “Survivorman Bigfoot”. Experience three incredible days in the field with Bigfoot researchers, Todd Standing and renowned expert Professor Dr. Jeff Meldrum as they encounter a real live Sasquatch. What we think we know of human origins and evolution is about to change forever as we discover the truth about a species that has remained elusive by outwitting and evading modern man for decades despite his best efforts. 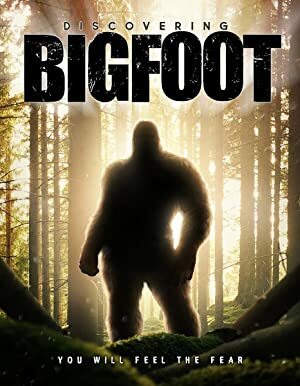 New evidence is revealed through scientific, systematic, and logical processes proving the existence of the Sasquatch species, modern day descendant of Gigantopithicus, a.k.a. Bigfoot. This unprecedented feature film includes – Never before seen, extraordinary Sasquatch footage that will shock the world. A terrifying altercation between Todd Standing and 3 Sasquatch creatures in the wild. Five never before seen video encounters with the Sasquatch species and overview of the life and death struggle that was necessary to acquire them. YOU WILL FEEL THE FEAR.